BTS will be joining the list of K-pop artists collaborating with a Western artist soon! The group will collaborate with American singer-songwriter Charlie Puth for a special collaboration performance at the 2018 MGA (MBC x Genie) Awards. The event will be held on November 6th at Namdong Gymnasium in Incheon, South Korea. Charlie Puth is known for his massive hits ‘One Call Away‘, ‘We Don’t Talk Anymore‘, ‘Attention‘, and more. He rose to fame after releasing ‘See You Again‘ featuring Wiz Khalifa in 2015. This is first collaboration with a K-pop artist. After lots of interaction on SNS, fans have been waiting for a collaboration between these two artists. Firstly, maknae Jungkook covered Charlie Puth‘s hit song featuring Selena Gomez ‘We Don’t Talk Anymore‘ in 2017. Charlie Puth responded to this cover and expressed his support. Furthermore, for FESTA 2017, Jungkook uploaded another cover featuring Jimin this time in June of the same year. 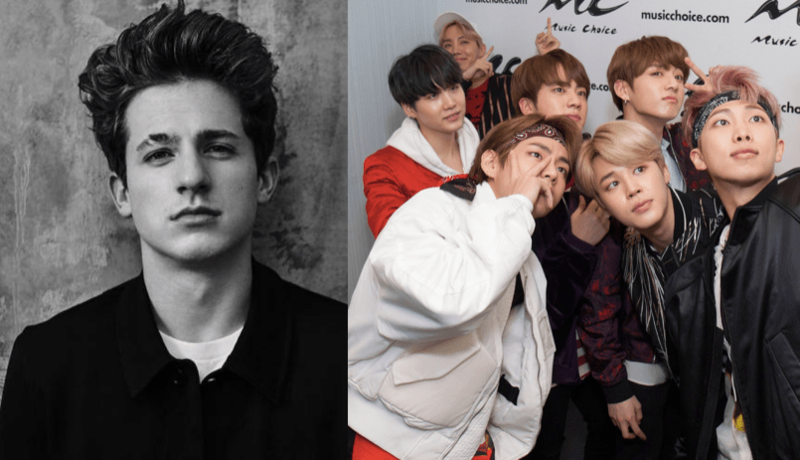 Now, ARMYs will have the chance to see BTS and Charlie Puth perform together on stage next month. Are you looking forward to this collaboration? Let us know in the comments below. MXM is joining the comeback rush in November!